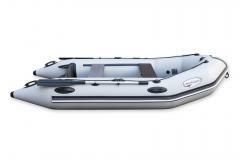 Beluga 10 ft. Light Gray Inflatable Boat is the smallest model of C class. It has the length of 10’2” and the width of 5’2”. This boat provides three hermetic chambers, and it can carry either two people with some luggage or three people without things. Its comparatively small size and light weight has some important advantages for users. 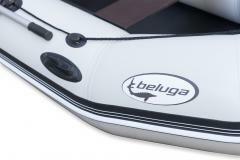 Beluga 10 ft. Light Gray Inflatable Boat can be easily transported by single person riding a bike or motorbike with a rucksack on. After the boat is being pumped the bike can be put on the stern where there is enough place for such loading. 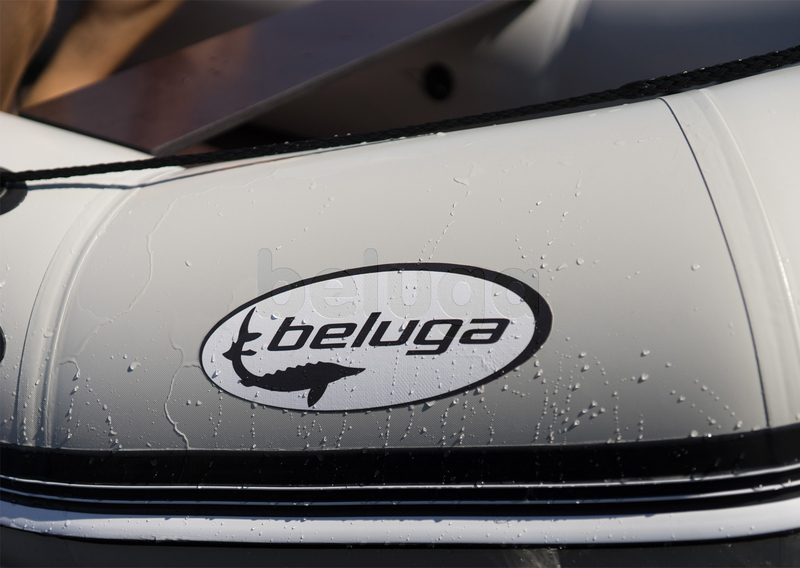 The other Beluga 10 ft. Light Gray Inflatable Boat advantage is in its comparatively high speed. This model is the best choice for fast journeys with up to 320 kg payload. Have a nice trip with the smallest Beluga C class inflatable boat, and enjoy 5 years warranty from the manufacturer! I carry and transport the boat in a backpack. It is very comfortable. I've arrived to the beach, rolled up boat, inflated and floated on rowing, fishing or a boat trip. Returned back, washed the boat at home, dried up and curtailed back into a backpack. It is very comfortable and practical. Day of happiness in my life. This day came quite recently. 3 weeks ago my friends presented me gift of my dream for my birthday. 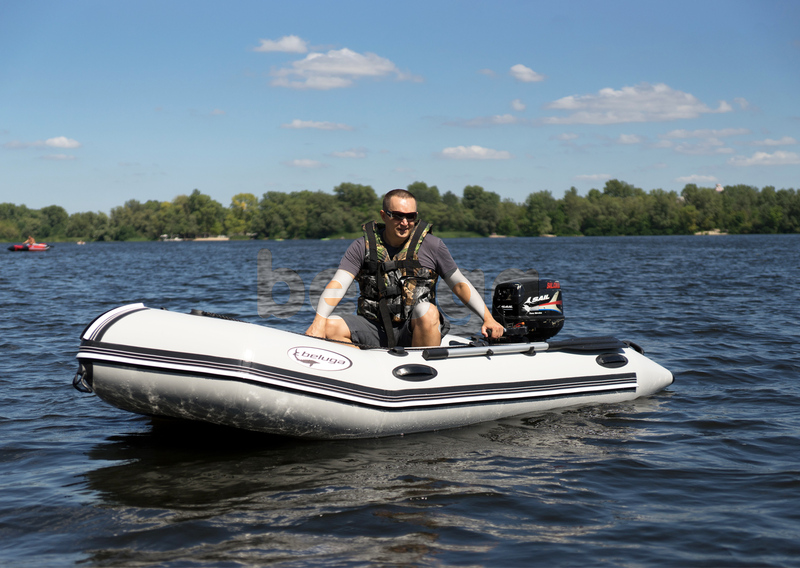 I always dreamed to buy the inflatable boat, but it was always a pity for money for it. Now I am completely satisfied. The boat corresponds to my inquiries, and I float already with by it down the river. Hi, everybody. 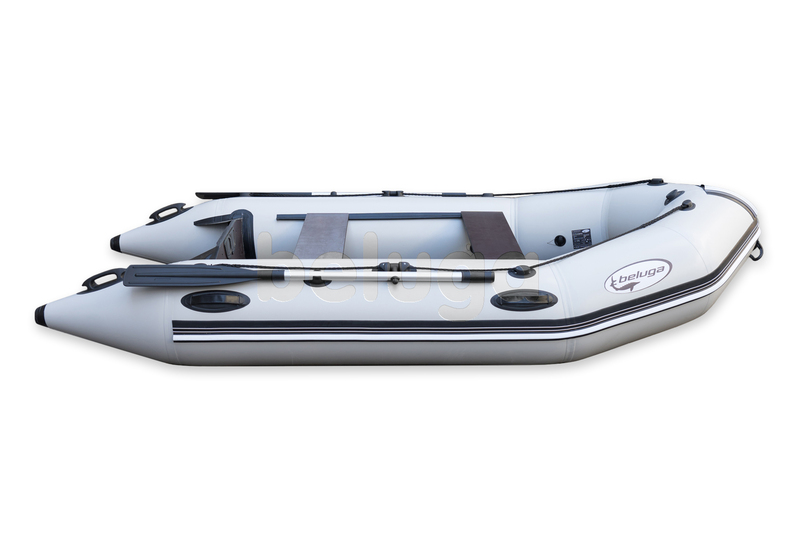 I have read the previous reviews of this boat, and have noticed that many users write about how is this boat comfortable in control by oars. Maybe, I l didn't try it for the long while. 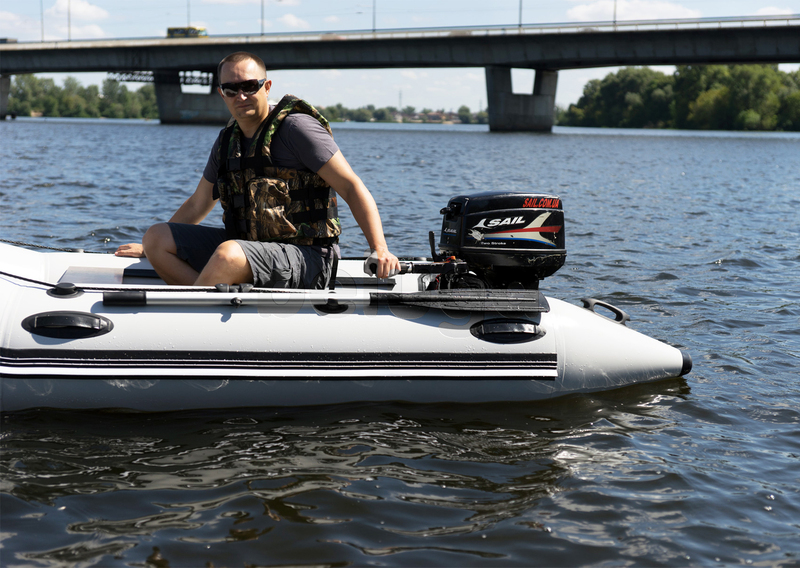 I want to tell just, that it is also excellent motor boat, which will be very easily controlled and holds good speed at a distance. 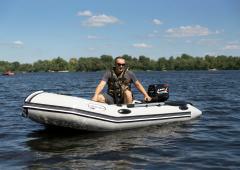 The best small inflatable boat! It seems so. 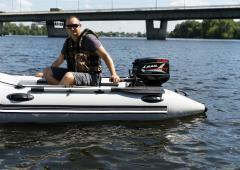 I have found the best, in my opinion, small inflatable boat. It is very comfortabe and practical, it is easy to inflate and deflate it. And also, by this boat it is very comfortable to work as oars or with the motor to one person. Also people can easily transport this boat. It is enough to deflate it, to put in a bag and to carry where I want. Five stars! Super! Yes it is very good for fishing! 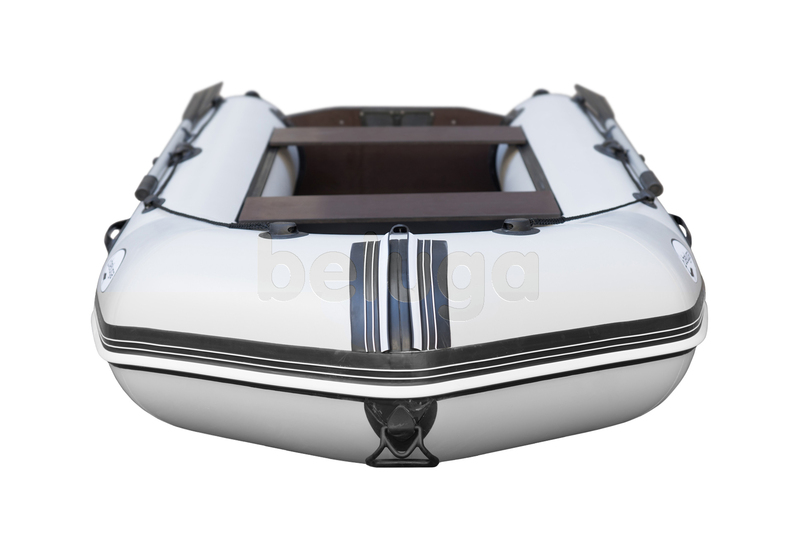 Due to the big diameter of tubes, the boat has a minimum immersion in water. 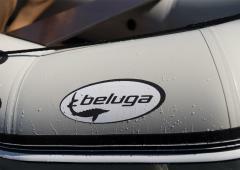 It helps the outboard engine easily start the planning mode, increases speed and lowers fuel consumption.